The totally recyclable ring binder! Binder covers may be recycled in paper recycling bin. Rings and rivets may be disassembled for metal recycling (where available). Solid one-piece chipboard construction with fiber reinforced hinge for durability. EZ-Turn™ rings for added page capacity and smooth page turning. Stylish textured and coated covers resist scuffing and wear. The totally recyclable ring binder! 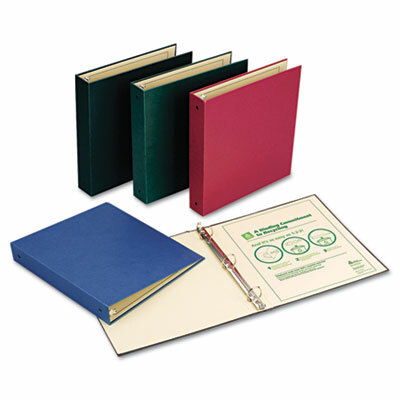 Binder covers may be recycled in paper recycling bin. Rings and rivets may be disassembled for metal recycling. Solid one-piece chipboard construction with fiber reinforced hinge for durability. EZ-Turn™ rings for added page capacity and smooth page turning. Stylish textured and coated covers resist scuffing and wear. PVC-free.